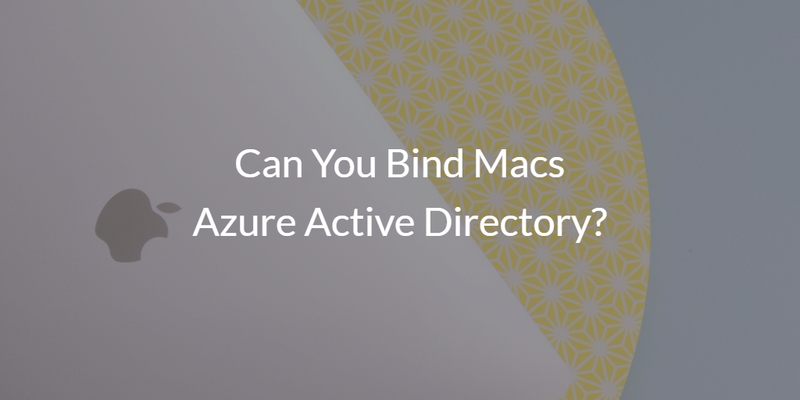 Can You Bind Macs with Azure Active Directory? Home » Blog » Can You Bind Macs with Azure Active Directory? There’s a lot of noise in the marketplace about cloud identity management solutions. With organizations making the leap to the cloud with Google Apps, Microsoft Office 365, and other solutions, an Identity-as-a-Service solution is a perfect complement. On-prem solutions, such as Active Directory and OpenLDAP, don’t integrate well with a cloud-forward model. Furthermore, organizations are leveraging more Macs and Linux devices within their infrastructure rather than being tied to Windows. This shift in the IT infrastructure is changing the landscape of how directory services is being done. A core question that IT is asking about Microsoft’s cloud directory solution is, can you bind Macs with Azure Active Directory? As you might expect, Azure AD doesn’t play well with Macs. Active Directory doesn’t really play well with Macs either. Although you can do some basic authentication via AD, it is far more limited than what is possible with Windows. The challenge is that non-Windows devices now make up four out of five devices in an organization when you include smartphones and tablets (source). While Windows is no longer dominant, Active Directory is managing less and less of an organization’s infrastructure. Add to that the fundamental shifts that we are seeing in the IT environment with the move to the cloud, a mobile workforce, and DevOps methodology, and IT now has a significant uphill climb to centrally manage the infrastructure. A key part of that management process is centralizing user management. IT pros know that a unified directory service that centrally manages user access is far preferred to managing user access on each system, application, or network. Not only are there efficiency benefits for IT, but it is also better for end users. In addition, it is more secure. That’s why as organizations look at Azure or Office 365, they immediately jump to the question of whether Azure AD can authenticate their Mac OS X devices. It can’t, but there is another path that is probably better suited to the needs of IT organizations. A unified cloud directory service can authenticate, authorize, and manage a wide variety of systems, applications, and networks. 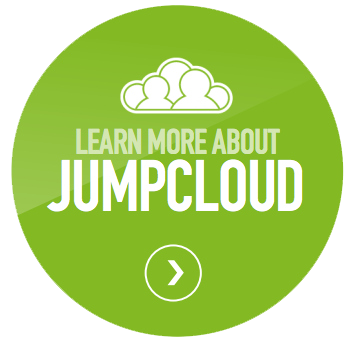 The Directory-as-a-Service® platform from JumpCloud® treats Windows, Mac, and Linux devices as equals. A most noteworthy feature is its ability to authenticate them regardless of their location. A small agent is placed on each system and user accounts are natively managed through each platform’s APIs. In addition to binding Macs to the cloud directory, it can also seamlessly integrate with Google Apps and Office 365. User credentials from those platforms can be leveraged for access to other IT resources, thereby creating greater efficiency for end users and increased control and security for IT. Looking to bind Macs with Azure Active Directory? Unfortunately, that’s not the way that Azure is built. Instead, take a look at how JumpCloud’s Directory-as-a-Service works with Mac fleets. Easily and quickly solve the problem without jumping through hoops with Azure AD or on-prem AD. Give JumpCloud’s cloud-hosted directory service a try for yourself to see how it works with your Macs. Your first 10 users are free forever.